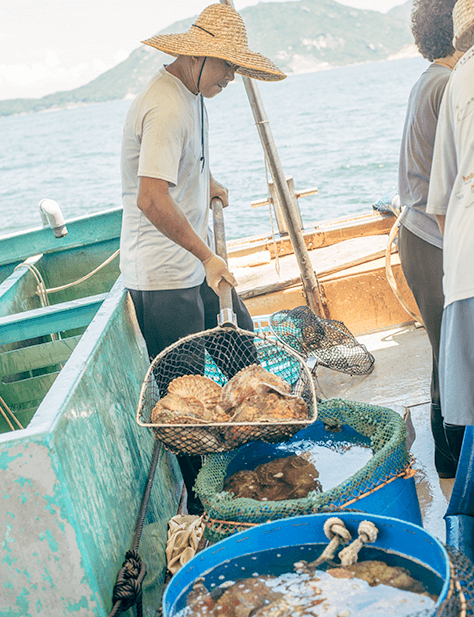 Hugh Farmer: This article is the result of several people’s research into industrial development, manufacturing, agriculture, aviation, fishing, quarrying, utilities, shipping and other related topics on Lamma Island. 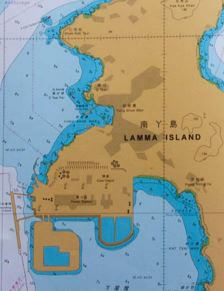 We also include information about Lamma during World War Two which may be of a more general nature. SD: Lamma got called Lamma only because of a chart reading error by Alexander Dalrymple in the 1760s. He’d acquired a Portuguese chart to the entrances to the Pearl River and, close to the west of the island (in Ha Mei Wan), the Portuguese owner had written ‘Lama’. Dalrymple took that to be the name of the island. It wasn’t. It was a Portuguese notation as to the holding (consistency of the seabed from the point of view of anchoring there), which was (and is) mud – in Portuguese ‘lama. In all the early charts the name was spelled with only one ‘m’. So the island acquired a British name by error and one that subsequently got Sinicized by its name being rendered phonetically in characters and everyone forgetting about the original muddle, at some point even more obscured by the addition of the second ‘m’ in the English spelling. The island’s Chinese name always has been, as far as I can tell, Pok Liu Chau sometimes just Pok Liu (博寮洲 – big hut island?). 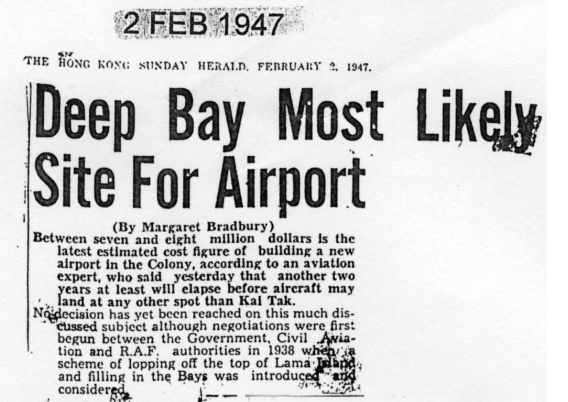 HF: If this reference to ‘Lama” island is indeed Lamma, and I do not know of the former then, incredible as it now seems, a plan to have HK’s international airport on the north coast of Lamma island was discussed in 1938. Bye bye Kai Tak, Greetings to Pak Kok International. This would presumably have resulted in the world’s longest bridge to Pokfulam or increased complaints from Lamma residents about queues at Yung Shue Wan ferry pier. Many thanks to IDJ for the newspaper cutting. MM :The Bronze Age period ran from 1,500BC to 211 BC. Not sure exactly when these were made during that period but they must be a good contender for the oldest evidence of industry on Lamma island. 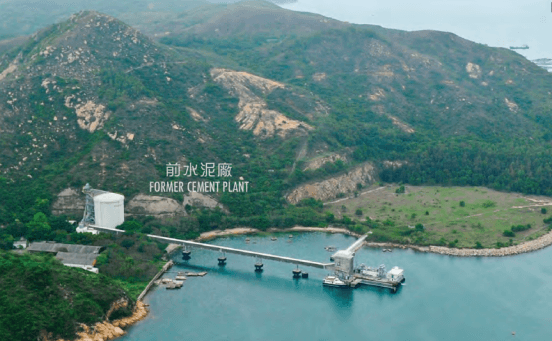 Cement – The Far East Cement Company works, part of the Shui On Group, opposite So Kwu Wan, opened 1980 and closed in 2001. The bulk cement terminal was built on reclaimed land. The terminal comprised two 20,000 tonne capacity cement silos with domed roofs supporting feed systems, a jetty with a cement unloader, berthing and mooring “dolphins” and a separate berth for barges for distribution of the cement to elsewhere in Hong Kong [and apparently South China]. The works also included a dredged approach channel, navigation aids, conveyor systems and bucket elevators on the silos. The concrete silos were designed to be constructed by slip-forming. This resulted in a rapid construction process and for each silo the total lift of 45 metres was completed within 10 days. A particular innovation was the raising of the domed roofs from ground level along with the slip-form operation. An extensive programme of settlement monitoring of the silo foundations was undertaken to compare actual with predicted ground settlements on the reclaimed land and underlying marine clays as a decision had been taken on grounds of cost not to pile the foundations but to allow for settlements which would occur. The interaction of bulbs of pressure under the silos was expected to result in some tilting of the silos. Agreement of actual and predicted values of the settlement was obtained and long-term movements could then be accurately predicted. These were within the allowable tolerances of the elevators and other mechanical systems. HF: I know very little about this company which I do not believe was based on Lamma. Electricity – Electricity was first brought to the island by submarine cable from Hong Kong island in 1962. Lamma Power Station opened in 1982. Shown on the reclaimed land below the main power station on the above image. 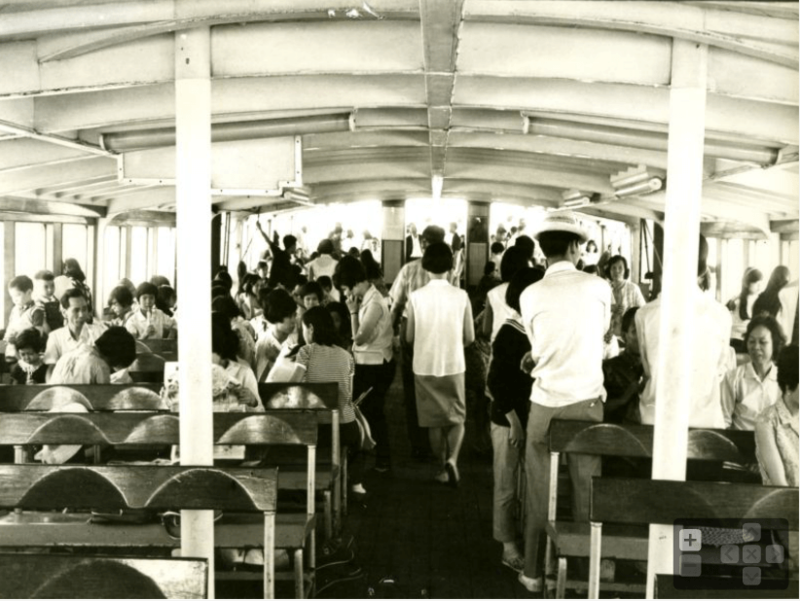 Ferries – “Post WW2″[specific date needed], Hong Kong and Yaumatei ferries resumed a service to Cheung Chau with an intermediate stop at Yung Shue Wan on Lamma. 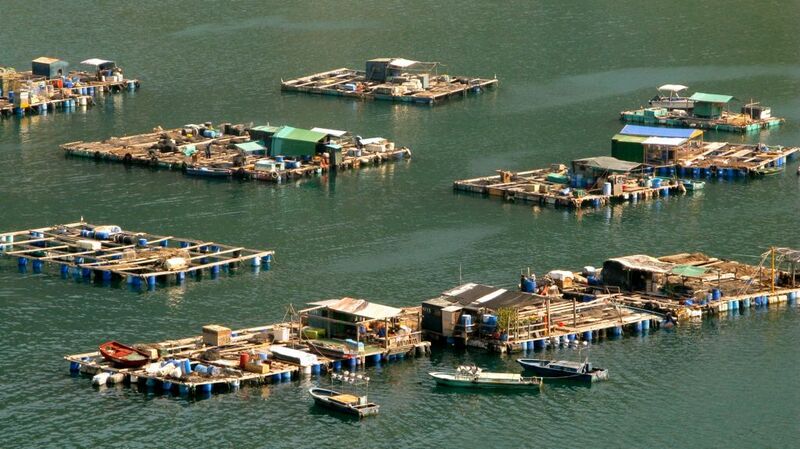 WC “Within an unpopulated bay in northern Lamma Island in 1982, Law Bak-fuk built his first fish-cultivating sea cages with wooden planks and blue plastic buckets. Today, his floating farm, boasting 500 cages, is one of Hong Kong’s largest. Green grouper, sabah grouper – a hybrid of two groupers – sea chubb, snapper and pompano are among the various species he stocks. His choice is entirely practical because groupers are highly pollution tolerant and fast-growing – and they attract a premium. Thanks to Winnie Cheung for telling us about this article. Grass-Cutting / Breaming (the latter archaic term is the cleaning of the bottom of a ship of accumulated matter by burning and scraping). Lo So Shing [mid 1950s?] One of the… “the principal village occupations [is] grass-cutting (the grass being sold to Aberdeen for breaming)”. Sok Kwu Wan “ a Mr Wu, lived there [date?] and was manager of the breaming facilities”. Tung O [Tong O? ], around 1955, “was a centre for grass cutting used in breaming”. Yung Shu Ha 1955 “The principal source of income is from grass-cutting, the grass being sold to Aberdeen for breaming”. IDJ believes that the short lived, mid 1970’s, helicopter company, Sim Air Limited, may have been based on Lamma island. Can anyone verify this? Leather- A report in the Overseas Chinese Daily News, in 1965, reports that small factories have been set up in north Lamma including [one or possibly more] producing leather. MM reports that in the mid 1990s the path from Yung Shue Wan to Sok Kwu Wan used to go right over a stone circle, about five feet in diameter, which he was told was the remains of a limestone kiln. Mau Tat Tsun c1930 “Mau a white flowered rush, a kind of grass, Tat – a mat awning over a boat, Tsun – a village. A place where these rushes are grown, and made into mats for the above purpose”. HK Minerals 1991 CJ Peng Urban Council, suggests this company was possibly investigating Wolframite (Tungsten). Oil Refinery -HF In 1972 Shell Oil Company applied to build an oil refinery on Lamma but was opposed by environmental groups and residents. Legco Proceedings 1st Aug 1973 see 990 A reply by David Akers-Jones, then Acting Secretary for the Environment on the pros and cons of the proposed Shell oil refinery on Lamma and the more general question of whether the island should be industrial, residential or both. Shell re-applied in 1974 but again the application was rejected. I have found a reference to a 35 page publication “An oil refinery on Lamma Island?” 1973 but can find no further information about this. 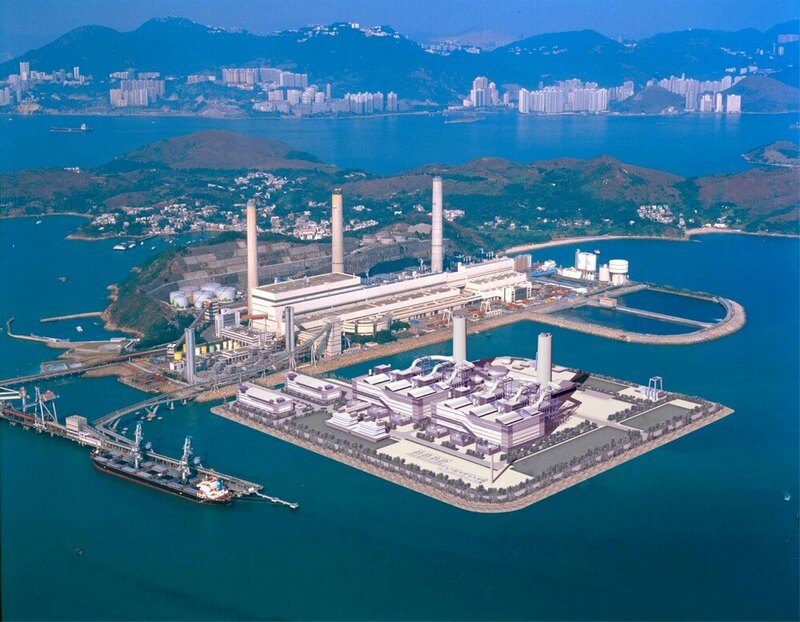 IDJ: suggests, regarding a Lamma oil refinery, that at this time the HK government was panicking about fuel availability when the first oil crisis occurred as HK’s supplies relied on refineries in Singapore. 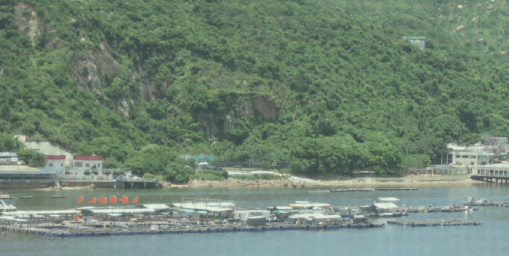 Plastic– A single report suggests that several decades ago Yung Shue Wan was the “centre of the plastics industry” on the island. A report in the Overseas Chinese Daily News in 1965 reports that new small factories have been set up in north Lamma including [one or possibly more] producing plastic. Plywood – A report in the Overseas Chinese Daily News in 1965 reports that there was a plywood company in south Lamma. MM took part in a HK Archaeological Society dig on Lamma in the 1970s. The site had been a pottery and several pieces, he thinks, were recovered. He was under the impression that the dig was where the power station now lies. He has contacted HKAS to ascertain if they have records going back that far. a)The quarry opposite So Kwu Wan was established in 1978 for rock extraction and miscellaneous processing and storage. A contract for the rehabilitation of the site commenced in 1995 and was subsequently completed in 2002 and quarry operations concurrently ceased under this contract. Currently, the site is a landscaped area with a lake and several ponds. The Planning Department and the Civil Engineering and Development Department have released launched their plans to build between 1000 and 7000 flats on the site of the old quarry. b) HF: There is a quarry (ies) behind and to the East of So Kwu Wan village itself. This can clearly be seen as you come over from Yung Shue Wan and if you walk from SKW towards Mo Tat. c) HF: Where exactly is this Quarry? Rattan – A report in the Overseas Chinese Daily News in 1965 reports that new factories have been set up in north Lamma including [one or more] rattan factories. Reeds – In the 1930s Lo So Shing “Lo – reeds or rushes”, So “a beard”, Shing “a city” [!] was a large village where reeds were grown and used by the villagers to make mats, and interestingly raincoats. Rubber Thread – A report in the Overseas Chinese Daily News in 1965 reports that there was a rubber thread factory being constructed in south Lamma. A report in 1930 from Tai Wan Old village (near what is now called Power Station beach) states that sand contractors had disturbed coffins whilst digging in a “big sandbank”. 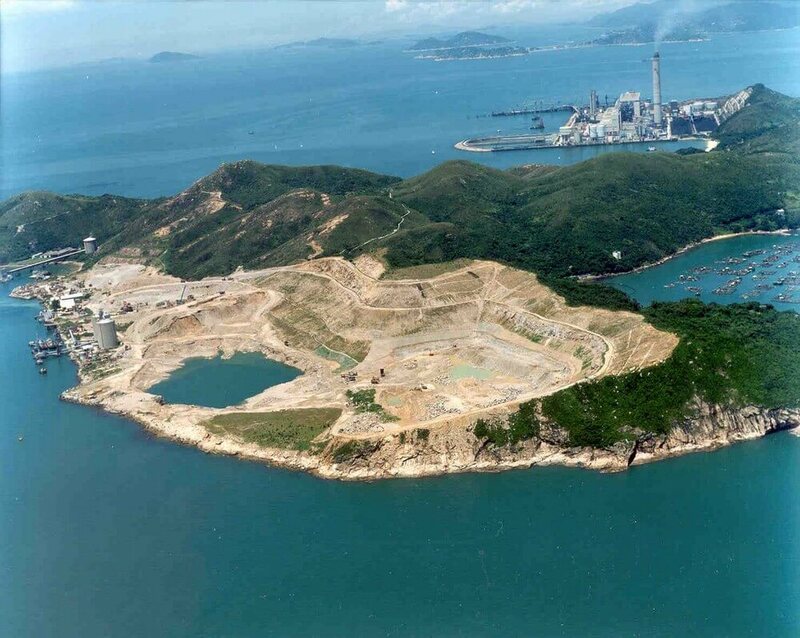 And in Tai Wan To New village, “ One of the recurring problems at Tai Wan To is the determination of the Sand Monopoly to take sand from their beach. Many of the beaches in the New Territories have sand that is either too thick or too thin for construction work, but Tai Wan To’s sand is apparently perfect”. Some years ago the District Commissioner gave a guarantee to the villagers that their beach would not be touched. The Sand Monopoly then resorted to dredging sand from the bay. During 1953 they kept some distance away from Tai Wan To, but in 1954 [with District Officer Austin Coates’ approval and after the Chief Engineer, Port Works, had given an opinion that it was most unlikely to cause any harm to the sand beach protecting the rice fields behind it, the dredgers came to take sand from within 50 yards offshore. HF: Thanks for correcting me Mike. I will leave what follows for the time being until the ship has its own article. 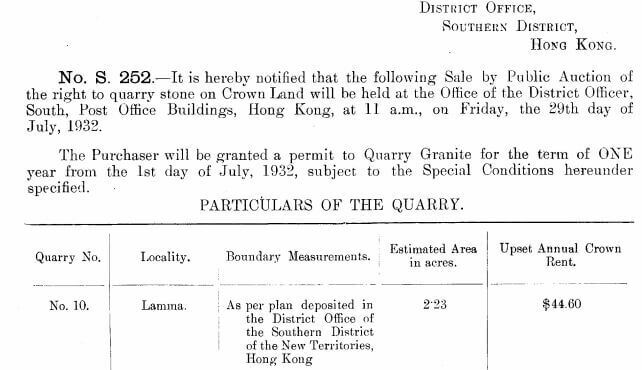 I based the following incorrect information on an article in the Sydney Morning Herald of 20th May 1916 which mentions “Lamma Island” but also that this place was “about 20 miles from Hongkong” which our Lamma is clearly not if “Hongkong” means HK island or Victoria/Central. 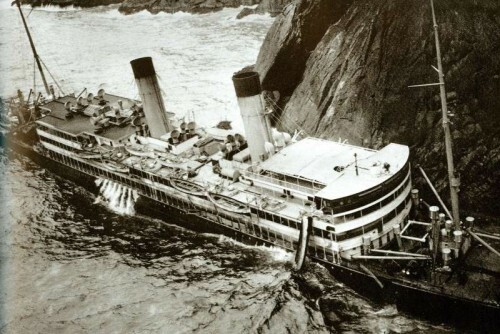 The Japanese ocean liner Chiyo Maru was shipwrecked (in fog/ in a storm?) on Lamma on 31 March 1916 with no casualties. One source says this happened at Tam Kan, I have never heard of this place. I can find no record of this event in the Public Records Office newspaper archives. 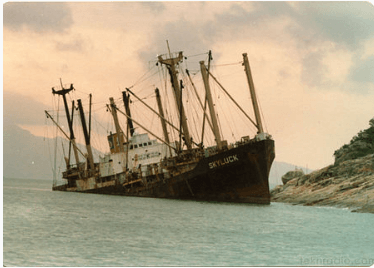 …The refugees waited aboard Skyluck in squalid conditions, although the Hong Kong government did provide basic necessities – food and water. On Sunday, 11 March 1979, after 33 days of waiting, a group of about 100 refugees jumped overboard and started to swim the mile to shore. About fifty made it to Lamma Island, where they were promptly rounded up by police. Two were admitted to hospital and treated for exhaustion. While in custody, a group of young men unfurled a banner which read in English “Please Help Us”, and tossed a message to the press through the wire fencing, which asked that the refugees be allowed to land. 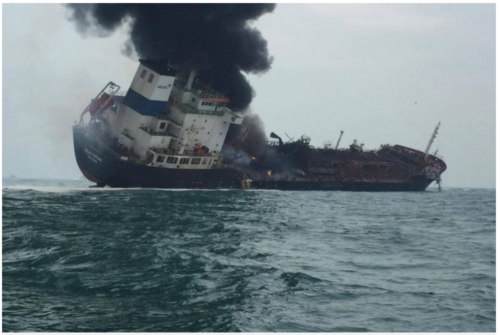 Those who didn’t make it to shore were picked up by launches and returned to the freighter. Those reaching shore were also returned to the ship. 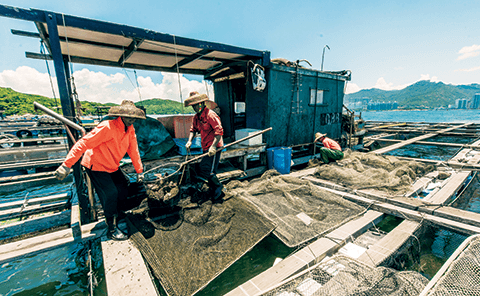 Shrimp Paste – Anyone visiting Lamma, especially Yung Shue Wan, up to the early 1990s, will remember the pungent smell of shrimp paste which was made and/or stored in large, bright blue plastic barrels. 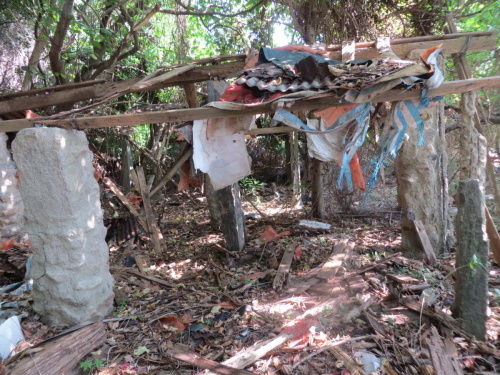 Tannery – There is a single report, with no date, that a kaido left Kennedy Town at 7am and dropped about 50 or so freshly skinned cow hides at Pak Kok. Were they delivered to the tannery which is located between Pak Kok and Yung Shue Wan? The tannery is now the new ‘Lammerina’ housing development. Telecommunications – Lamma Island Television Transmission Station is situated on Ling Kok Shan the mountain behind Sok Kwu Wan. Timber Mill – In the late 1960s a timber mill applied to acquire land at Sok Kwu Wan. Its application was rejected. Toys MALB: On the subject of toys, when I first arrived in Hong Kong, in 1983, people in Yung Shue Wan were assembling dolls – there was a pile of arms and legs etc in the middle of a table, and women sitting around the table putting them together. These were restaurant tables during a quiet time of the day. After a few months, I didn’t see this any more. Does anyone else remember seeing this style of work? LT: The British Army Aid Group (BAAG) had a strong interest in collecting intelligence on Japanese shipping into & out of Hong Kong during the Occupation. In the Ride Papers (Ref: AWM Series 2 Folder 32) there were some reports of a plan to set up an Observation Post for shipping at Lamma Island circa August 1944. (Agent 530 Sham Yung-hung, formerly HKRNVR), whose family were from Lamma, was sent back to conduct feasibility studies. The plan was for Sham to bring back a BAAG OP Team and operate a Force 136 radio set on a moving junk steered by his family off Lamma. There were reportedly no enemy troops or Red Guerrillas on Lamma. Japanese troops from Aberdeen visited from time-to-time only. Sitiuation report #12. 25.5.45. Canton Delta – Sea approaches – “New defence measures include the fortification for the first time of Lamma Island and the laying of mines in Mirs Bay and the Canton River, with particular mention of the Bocca Tigris Channel”. Situation report #15. 15.6.45. Hongkong – “The outlying islands including Aplichau and Lamma received additional reinforcements of Naval Ground Forces with artillery at the end of May and there has been an unusual amount of minor adjustments in the dispositions of the Hongkong Defence Unit, indicating that they are now standing to in readiness for any attack”. This article was first published on 16th August 2014. Malcolm Morris has sent some additional information about possible pottery and limestone kiln sites that I have added to the main article. Re: the Chiyo Maru, she actually wrecked outside of Hong Kong, in the confusingly-similarly-named “Lema Islands”, what’s now known as Dan’gan Liedao (擔桿列島). After the accident, the passengers were removed but a crew stayed onboard, working on the ship in the day under the guidance of staff from Taikoo Docks, and sleeping on the island itself at night. Only the bow of the ship was on the rocks, with the remainder floating, a position that clearly couldn’t last long. Less than a week later, she broke in two, and she remained on the rocks for at least another three years, possibly longer. a) Yes, I’m knoxploration. I just signed up for an account as suggested, but can’t edit posts of my own made before I signed up. b) When I say “she actually wrecked outside of Hong Kong”, only *just*… If she wrecked where I think she did, she was less than 8 miles from the southernmost tip of Po Toi, and the border is another mile or so south of there. She was incredibly close, even if she didn’t make it there.